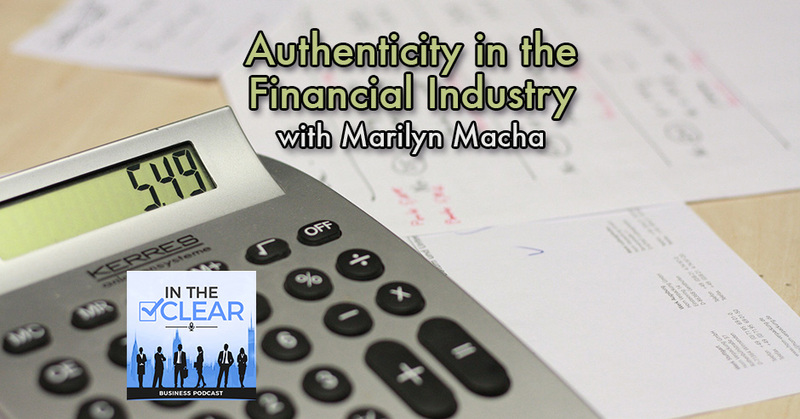 In this episode, Marilyn Macha talks about authenticity and transparency in the financial industry. She also shares her thoughts on how it’s not about the money; that there’s a bigger picture. She goes into detail on transparency, that it is one of her biggest lessons learned, and how that all comes from your ‘why’. Marilyn Macha, Executive Coach and Corporate Consultant knows the answer! After 20 years of running one of the top financial services firms in the country, yet finding she felt a longing for more from life, Marilyn has discovered and developed a proven formula for helping high-performing women reach an entirely new level of aliveness and success – both personally and professionally. Today we are talking to one of the members of the Clear Business Directory. 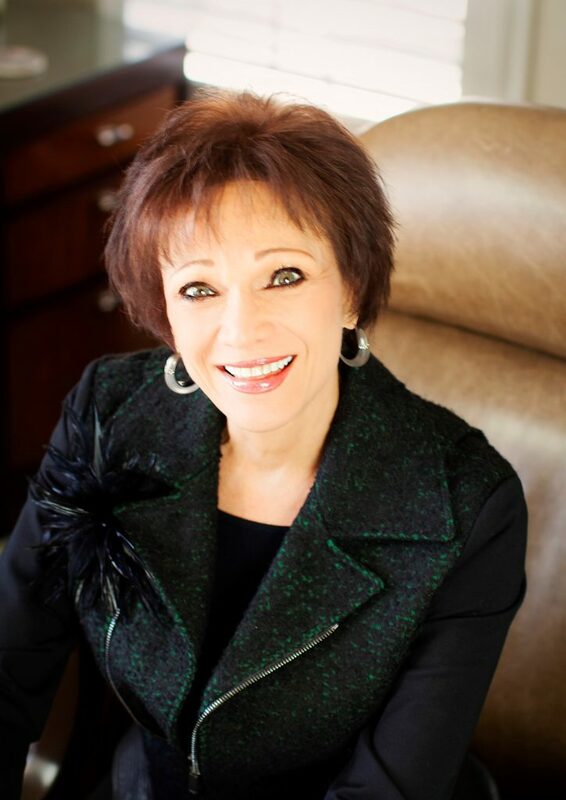 Folks, you’re in for a treat today as Marilyn Macha is joining us today on the show. She is by far one of the most authentic people you will ever, ever meet. She owns and operates Marilyn Macha Consulting. She works with women entrepreneurs within the financial industry in helping those business owners go to the next level. Marilyn, thank you so much for being on the show today. Thank you, Justin. That was so gracious. Thank you so much. That felt wonderful. You and I connected at CEO Space. You are by far one of my favorite people that I have ever met. You and I just clicked instantly. You know you found your tribe when you sit down and you start talking to somebody and everything that they’re saying just resonates with you as well. I know that you and I connected on multiple levels with the personal development stuff and the transparency stuff. What’s really neat is you’ve been in your sector, the financial sector, for 30 something years. You have quite the track record. Can you share with the listeners a little bit more about your experience, your background? I started as a divorced, single mom into a career in my early 30s. I had a college education. I didn’t know what I was going to do with it. I was a housewife, a very wonderful position in life. When my son was five, his dad and I divorced. I started in a career. I had been in math most of my life, I loved it. I’m a math major. Financial Planning was very much a buzz going on in the media in the early ‘80s. For me, it was about crunching numbers and I went, “I’d be really good at that. I love planning. I love strategic thinking. I love looking at numbers and thinking how they work together with us.” Long story short, 30 years in the industry as a financial planner, an investment advisor, I built and grew a company in Houston, Texas, one of the largest independent investment advisory firms in Houston. Through the process of building the company as well as meeting with my clients, holding their hands through down markets, and knowing that we were looking at their own long-term future and what would they love their life to look like that the numbers would come together for them, and we would manage them accordingly. Financial Industry: I consult in the industry to teach people that they could go beyond their circumstances. I became certified in many of the facets of the financial industry because I knew it was important for me not only to have that knowledge, but especially during those early stages, to have credibility for people to take me seriously. It worked in my behalf. I built not only a company but a clientele that I loved being with them in a way that I actually began to coach and consult with them beyond their investment needs. It was about creating their life and what they would love. I actually sold my company to a young man that had been with me for twelve years that had helped me build the company. All of my clients knew him. I sold it to him to take care of not only what we had created together but to take care of my clients. I sold it specifically so that I could consult in the industry, to train and teach, for people to know that they could go beyond their circumstances. Circumstances would never dictate who they would be in a situation again. This is a part of what I teach; that it’s so much bigger than money. That’s what I consulted, what I coach my clients through, you bet, we’ll have money. It’s my job, my responsibility to create that with you. It’s so much more. It’s the bigger picture. It’s coming from your heart. It’s finding what really works for you in your life, what’s important, your purpose, your why. It’s so unique especially in the financial sector. We see a lot of frauds, a lot of scams in the financial industry as you can imagine. You see things in the movies like The Wolf of Wall Street and you see all the hustle and the bustle, stocks going up and down and all these kinds of things. You get a lot of financial advisors that are in it solely for the profit. I’ve been reading a couple of financial books myself, Tony Robbins’ new book, Unshakeable. He talks about how you think you’re only paying 2% but what you don’t realize is that 2% is costing you, in over a period of 28 years, it’s costing you $600,000, $700,000. There’s so much that goes on behind the scenes that to the unexpected client, to the uneducated client, they’re going to make decisions without really knowing those repercussions. Having somebody like you in their court gives them that home field court advantage because you come in and you build that relationship with them. Again, the money is going to come, it always does because you’re focusing on the things that are more important than that, and that’s the relationships, that’s the long-term stuff of what really keeps the investments going. I love that your lens is through the transparency. I love that. It’s why I was so attracted to this process with you immediately. That’s what I do with my clients now. The financial advisors within my work, we look at such a bigger picture. Yes, it’s about making money but it’s not about the making money that has the business grow. Marilyn, given the length of time that you’ve been in the industry, is there one thing that stands out in your mind, a lesson learned, that got you to where you’re at today that you can share with the listeners? I’m going to use your transparency again. To be transparent, to know that you’re coming from a core value, to come from as an advisor, for me and my industry, the consulting, the coaching, taking someone beyond where they are, it’s always coming from the why. There have been many books on that as well. It’s from knowing that who I’m being is more important than what I’m doing. When I’m clear of who I be for my clients and I train them in that, when they’re clear who they are in that evaluation for everyone, that they can be transparent, that they can be what I now term as confidently vulnerable to know your stuff, to be confident in who you are, and I’m speaking to me too. Be confident in that and to be vulnerable in a sense of, “That’s something I need to research. I’m not well-versed in that.” To be so confident that you can be vulnerable in a situation. That right there, that vulnerability part is, in the due diligence arena, what we see gets a lot of people in trouble a lot. They end up calling us after the fact because they were making decisions without being vulnerable. They weren’t going, “I don’t know here.” Instead of just taking a step back and going, “I don’t know” and that critical thinking piece we teach about, they make a decision from that “I don’t know” place and of course it doesn’t work out then they call us for cleanup. Whereas if you don’t know, pick up the phone, call somebody that is a trusted advisor, shoot somebody an email, send us an email, whatever it is. If you don’t know, like you said, do your own due diligence; ask those questions, research it, and be okay with the “I don’t know.” That’s one of the things that we’re teaching my daughter right now, our seven-year old. Don’t make up anything. It’s okay to say, “I don’t know.” In doing such, that opens up the possibilities for getting the answers that you need so you can make an educated decision. It’s about reprogramming how we interact. In business, there’s this misconception that it’s got to be a particular way. If you’re a business owner, if you’re an entrepreneur, if you don’t know it, that says something about you. Every time I hear something like that, I’m always reminded about Henry Ford being called in out of the stand for questioning for his automobile and the safety because he made certain claims that his vehicles were safe and sound but how could that be because he didn’t have a high school education, but he surrounded himself with people who knew the answers. The support. We’re not supposed to do this alone. What’s beautiful is that the people that you work with, they’ve got that in their court when they bring you on as part of their team. Knowing that you operate in transparency, knowing that you get that piece of it is just huge because they can now move forward in confidence and feeling safe with you because they can now say, “I don’t know.” It’s okay because they’ve got you to guide them along the way. The people that you’re looking for, the people that you work with directly, how do you work with them? What does that look like for them? What do you want them to know about you and how you work with them? Financial Industry: I provide consulting for small companies to create synergy. There are two things that come to mind as you ask that question. The first is, I provide consulting for small companies, for businesses, to create synergy, to develop relationships within the company, to maximize strengths as a support team, to develop trust not only among themselves in the working situation, to count on each other for support, but also trust with clients. What we’re talking about here, if someone comes in to my operation, my practice, how do we instill in them from the very beginning that they can trust this place, that they know they’ll be taken care of? I do that. I go into small companies. 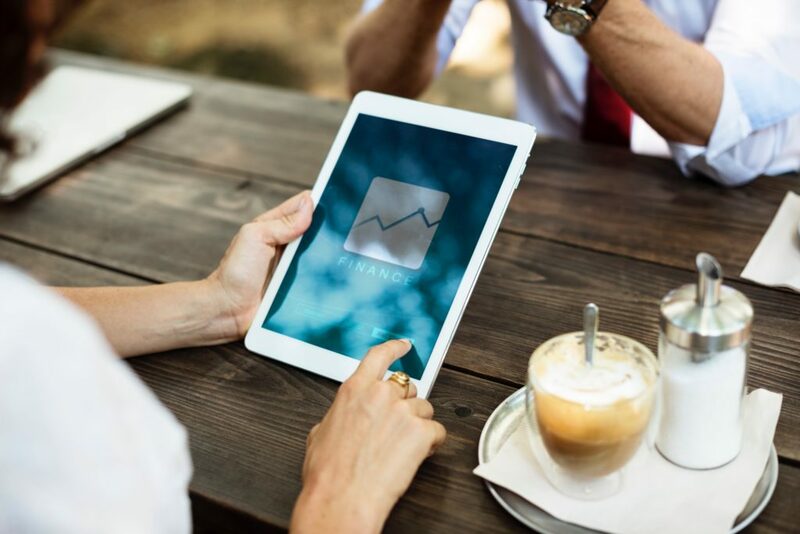 My expertise of course is in the financial industry, in financial services companies because I know their world, I know what they deal with every day. 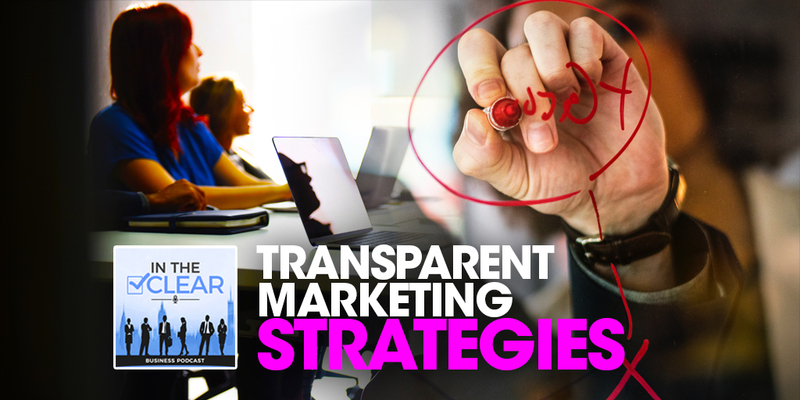 I also work with entrepreneurs, again, who already have a secure business that want to absolutely breakthrough the perceived glass ceiling into the next stratosphere. What I teach them is how easy, with ease it can be, not that there’s no work involved but that it’s work with ease. That’s in the consulting piece. 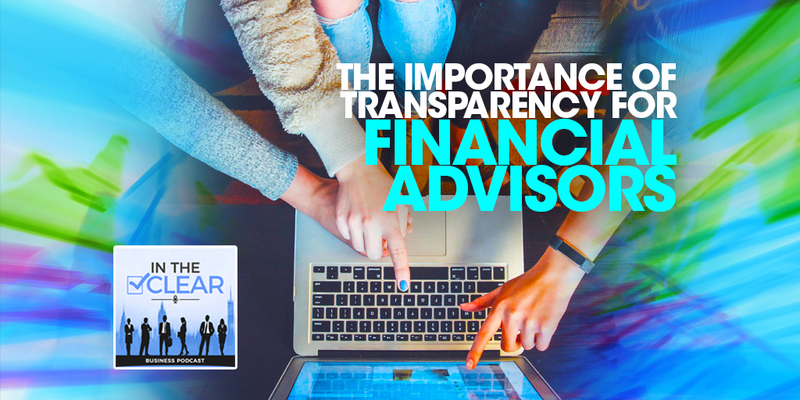 It’s with entrepreneurs who are going somewhere and particularly in the financial industry, financial investment advisor practices. For those of you that are listening right now, you can take a look at Marilyn’s profile in the Clear Business Directory at ClearBusinessDirectory.com. Marilyn, is there a website you would like to send the listeners to? Yes. MarilynMacha.com. You’ll get a glimmer of what’s coming; what has really been created out of Justin’s help and other people that I’ve met at the CEO Space, my support team. It more than a support team. It’s family, right? Marilyn, thank you so much. Again, if you are in the financial sector, check out Marilyn’s profile. Give her a call, pick her brain. She is by far one of the most authentic people I have ever met, and one of my favorite people. Marilyn, thank you so much for being on the show today. Thank you, such a delight. Learn more about Marilyn Macha.